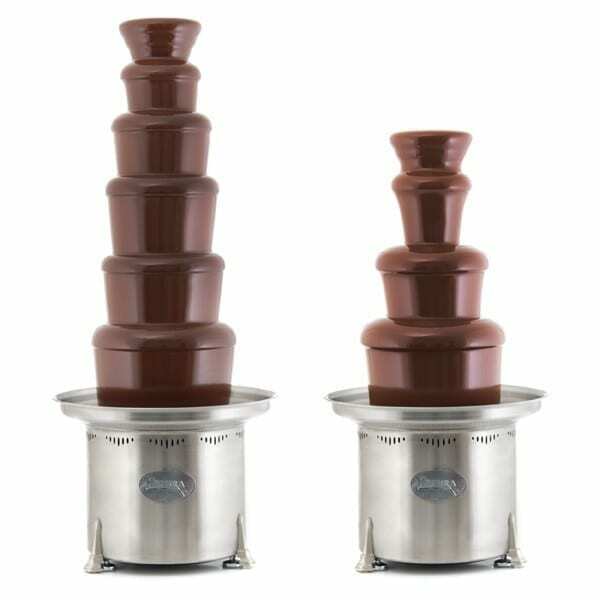 Chocolate Fountains create a lovely and entertaining way to serve up your dessert! These machines are very easy to use. Plug it in and turn on the heat. Melt the chocolate in the microwave. 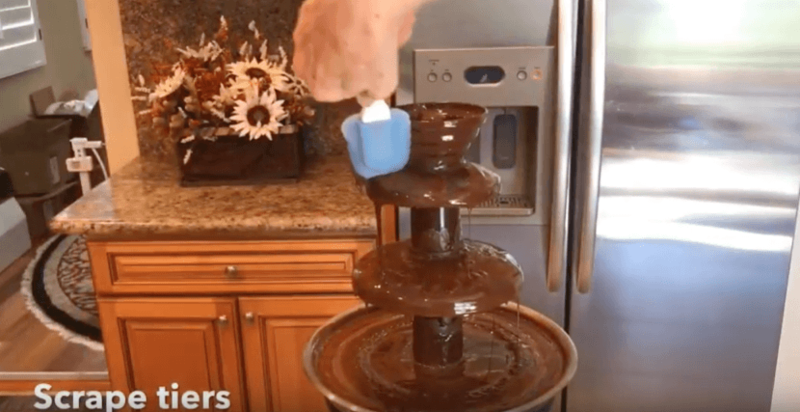 Last, pour your melted premium milk, white or dark chocolate into the fountain. You can even add color to white chocolate to create something special! Finally turn on the auger, and watch the chocolate cascade. 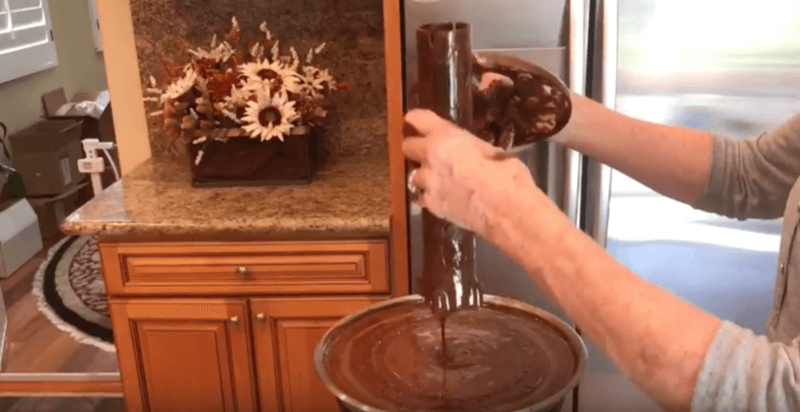 Cascading chocolate is mesmerizing! It offers movement to your dessert table. 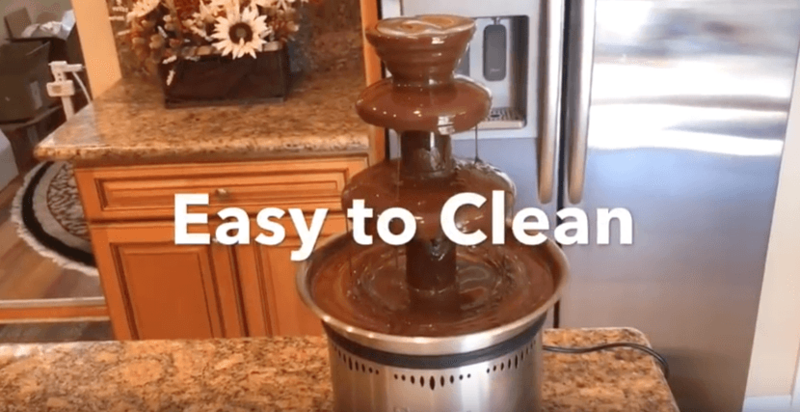 Also, in order for your fountain to cascade properly, each machine requires fluid melting chocolate in excess of the minimum servings. Thus once guests are dipping you may need to add more chocolate to have a beautiful consistent flow. *Consequently fountains need to be placed on a level and even surface to flow properly. The best dipping items are one bite foods on a skewer. Therefore think cut up strawberries, melons, pineapple or other fruits. Finally add easy to dip items include graham crackers, pound cake, pretzels, and marshmallows. *Fountains are to be returned wiped clean of chocolate (tiers may be washed) do not use water on the actual machine or this may cause damage. 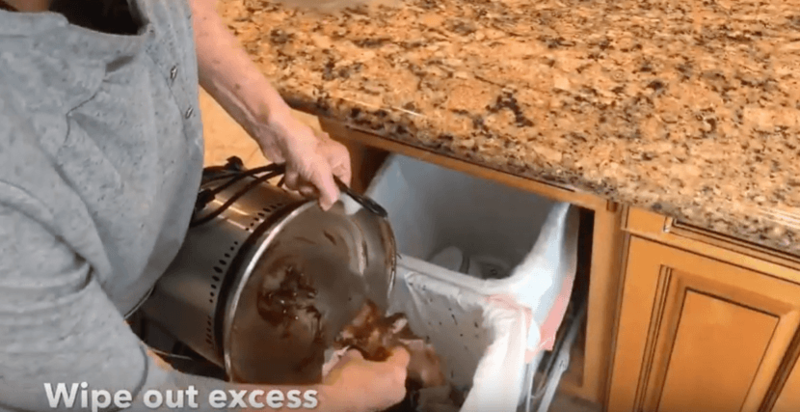 Discard all unused chocolate while it is melted in a trash can and not down the sink (to avoid plumbing problems). *A $25 cleaning fee is presented when this item is not returned wiped clean of chocolate. Easy Cleanup! Unplug and clean while still warm. 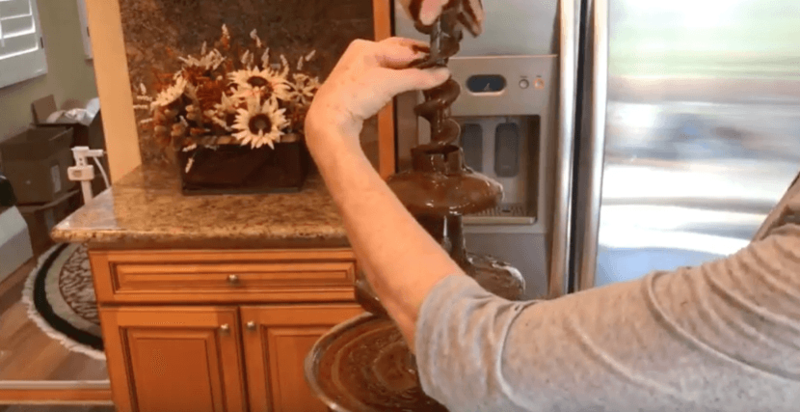 Use a spatula to remove warm chocolate from tiers. Remove the top and pull out the auger. Slide off the tiers and remove the auger cover. Soaks tiers and auger/cover in warm soapy water. 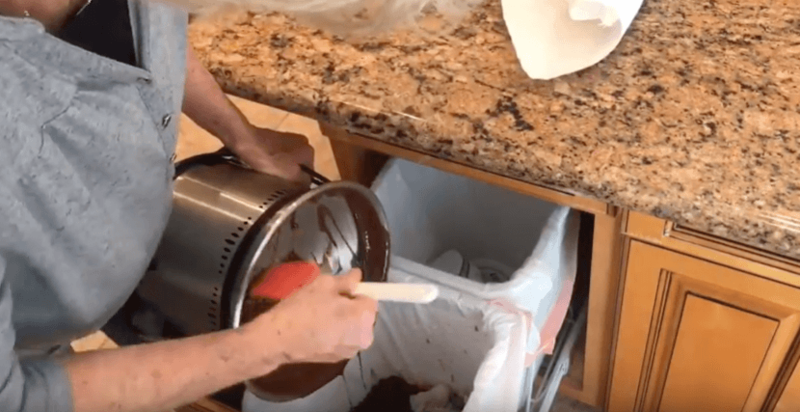 Pour all bowl contents into the trash (it will clog the sink). 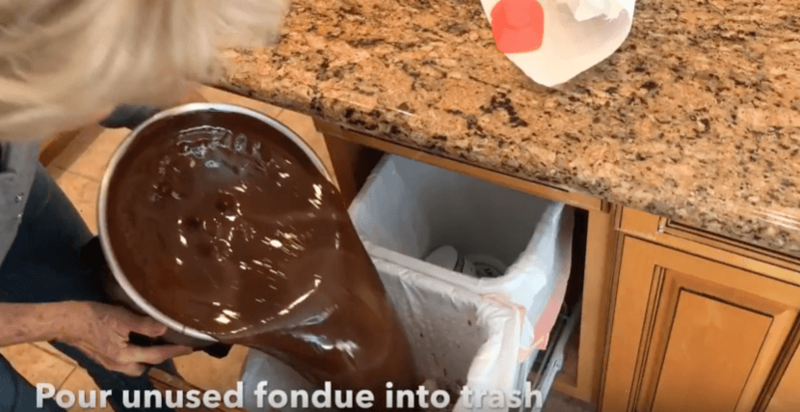 Scrape the chocolate from the basin with a spatula. 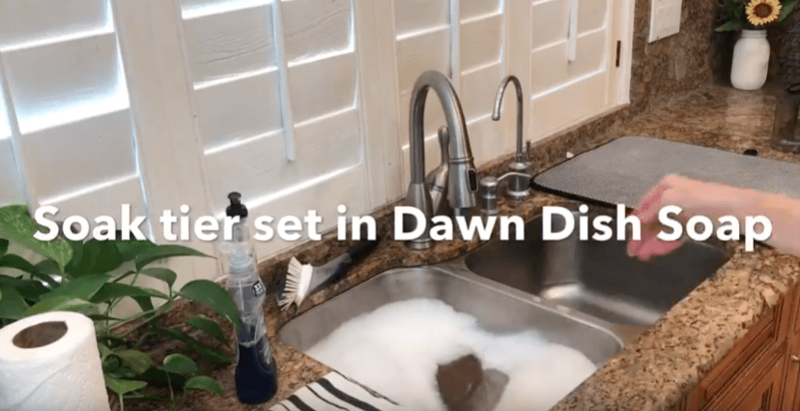 Use a damp cloth to wipe down the machine basin (no water). Place the unit back into the plastic trash bag, then into the carrying box.